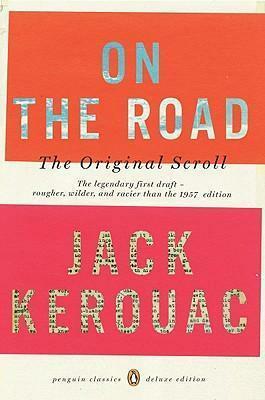 The legendary 1951 scroll draft of On the Road, published as Kerouac originally composed it IN THREE WEEKS in April of 1951, Jack Kerouac wrote his first full draft of On the Road--typed as a single-spaced paragraph on eight long sheets of tracing paper, which he later taped together to form a 120-foot scroll. A major literary event when it was published in Viking hardcover in 2007, this is the uncut version of an American classic--rougher, wilder, and more provocative than the official work that appeared, heavily edited, in 1957. This version, capturing a moment in creative history, represents the first full expression of Kerouac's revolutionary aesthetic. For more than seventy years, Penguin has been the leading publisher of classic literature in the English-speaking world. With more than 1,700 titles, Penguin Classics represents a global bookshelf of the best works throughout history and across genres and disciplines. Readers trust the series to provide authoritative texts enhanced by introductions and notes by distinguished scholars and contemporary authors, as well as up-to-date translations by award-winning translators.
? A dazzling piece of writing for all of its rough edges, stripped of affectations that in the novel can sometimes verge on bathos . . . It seems much more immediate and contemporary.? ?Luc Sante, " New York Times Book Review"